In just about two more weeks, holiday shopping becomes official. I'm talking about the day after Thanksgiving when stores, both physical and virtual, saturate us with deals, steals and frills. I've been more excited for the holidays this year than any other year though. A baby can do that to you, ya know? Usually, I'm one of the last minute shoppers. Try as I might to get an early start, I always have some gifts left to the end. This year though I've already been active in searching for gifts for people. *crossing my fingers I'll get things done earlier! * Frankly, my time isn't what it used to be so time to shop has become a luxury. I'm lucky to even get some time on the computer to window shop! I have to be more efficient than ever before. Not so surprisingly, Ross has become my one-stop shop. True story - Ross has become a great resource for gift buying. foot spa goodies with cozy slippers for my always-on-her-feet-sister-in-law. I even found a couple of treats for me - a blanket scarf and a new coffee mug (hey, moms deserve some self-love too!). I'm certainly not done, but I'm getting that head start I never made time for before. As the holidays inch closer and closer, I'll be making several more stops for the gents and maybe some more special treats for me. Tis the season, right? Have you started on your holiday shopping? *This post is in collaboration with Ross as their Ross Bargain Hunter program. Compensation was received but all opinions and ideas are my own. What cute picks :) I love the buffalo print scarf you treated yourself to; it looks great with the striped top! Wow, You are really getting ahead, I feel like if I don't start soon I'll scramble. Great picks. Such perfect gift ideas!!! I love that scarf and mug that you got yourself too!!! That is my kind of Christmas shopping, one for you, two for that person and three for me! LOL! My holiday gift shopping starts in September! I am always finding things that I want to give and if I don't get them then I will forget them. Adorable picks. Happy shopping! Never too early to start holiday shopping, after all ;) Love that mug !!! 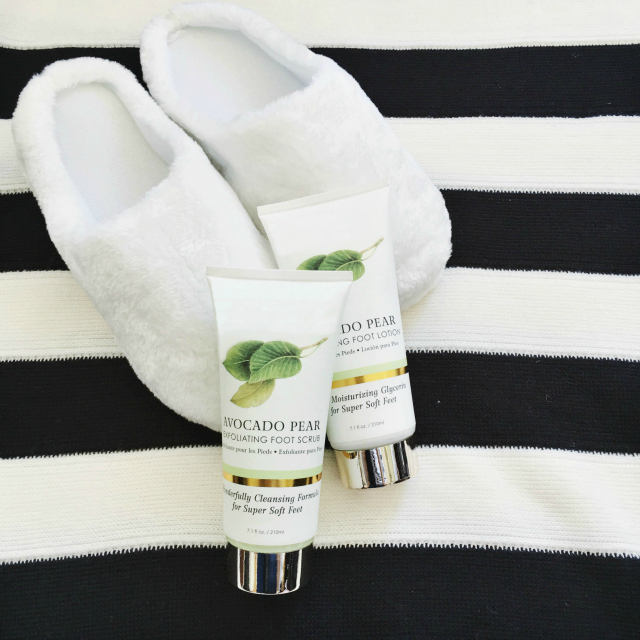 I love the slippers and cream...it's such a practical yet luxurious gift. I love your blanket scarf outfit too! So cute! No, I haven't done any shopping and I don't plan to. The husband doesn't want anything and all the kids want is money. Love that scarf! I always find such cute things at Ross and agree it's a great place to shop for the holidays! 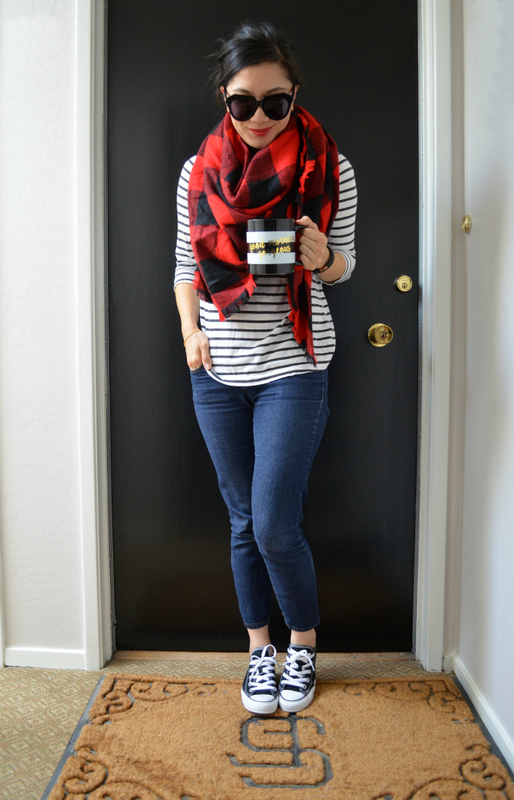 I am in love with that blanket scarf and chic coffee cup! my holiday shopping just started, haha so stressful! Yes, I've started picking up things when I see them .. I like to get a head start because I'm not a good person in crowded stores with long lines .. lol. the cup is my favorite! already shopping for christmas! Love that scarf, so cute with the stripes! I love getting a few gifts early. It takes the stress out of things a little. Love that plaid scarf! The holidays will be extra special for you Nancy! I love your outfit! You're always stylish! I'll take everything in that picture! LOL Love it all. That scarf is too cute!! 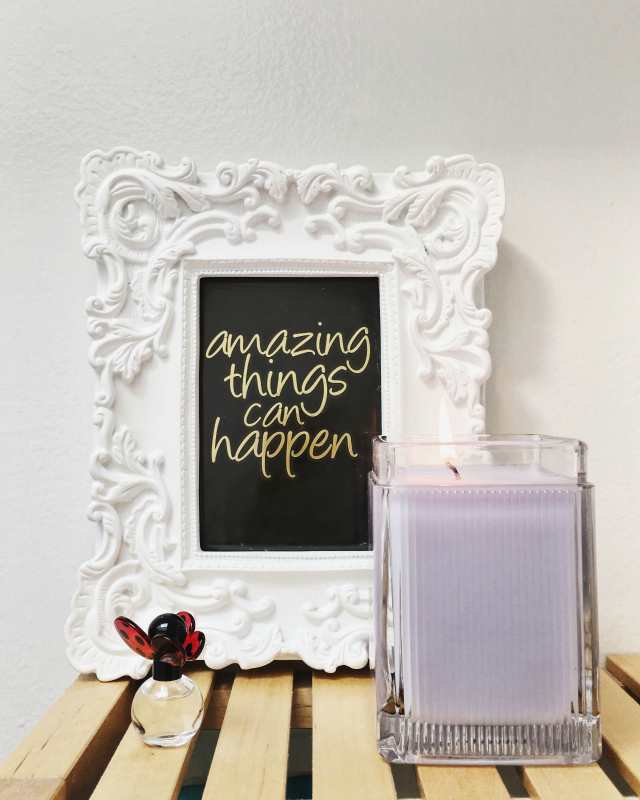 It's just the perfect backdrop for your cute new mug! Great picks! 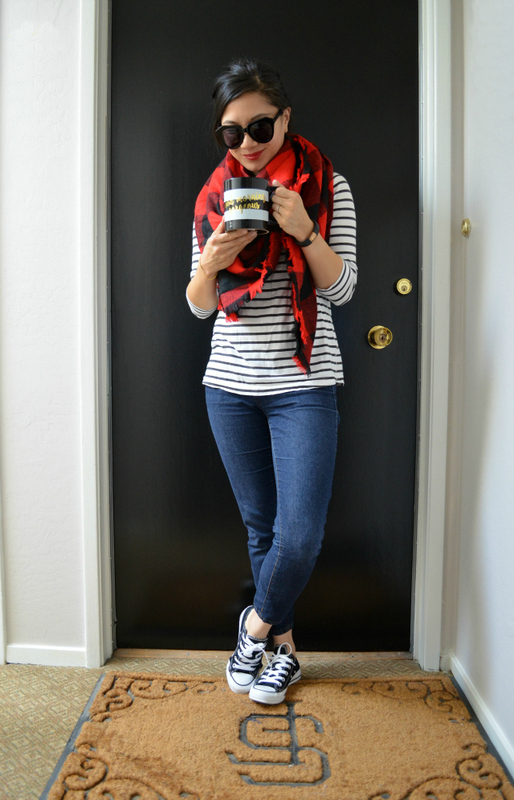 I really love your scarf and mug, they're so cute! It's crazy to think that the holidays are coming up so quickly, but now is a great time to start getting a handle on a few things. I love the mug you picked out! So pretty, all year round! Love your causal look! topped off with the blanket scarf! i know it can be hard to find time to shop! You did so well, love the cozy slippers and foot scrubs and photo frame for MIL.. scented candle sounds SOoo nice. I am sure you must be excited...:) I love Ross stores, i wins there was one near me. Love that frame and that plaid scarf!! And I haven't even started shopping and probably won't until after Thanksgiving. I'm a procrastinator! What is the direct link for that gorgeous mug? what fun finds! that scarf looks so cozy! I'm going to need to stop into Ross for some shopping! Looks like they have great stuff!! I have almost a half of my Christmas shopping done. I have always been an early shopper. All of your items are adorable. I love that mug. The blanket scarf is gorgeous. I have one from Zara and can't stop wearing it! you're ahead of the game! good for you. but i did think to order my christmas cards soon! can't believe the holidays are literally around the corner! eep!